The Sexual Revolution - and the breakdown of the Family - has brought misery to millions. In The Sexual State Jennifer Roback Morse shows that the Sexual Revolution did not just “happen” like a force of nature. 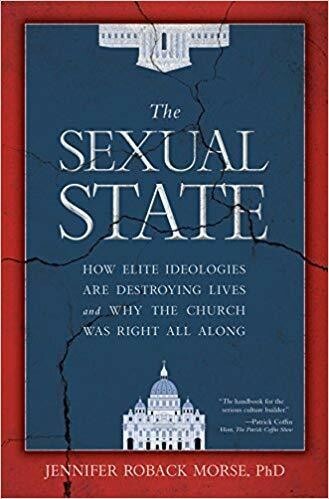 Rather, it was deliberately created by “elites,” harnessing the power of the State, allowing them to inflict three false and calamitous ideologies – contraception, divorce, and gender – that have led to widespread and profound unhappiness, and worse. The ideas of the Sexual Revolution did not emerge from the lived experiences of ordinary people, the government has been imposing the morality of an out-of-touch elite class on the rest of us for decades.